With the European Tour wrapping up for the season, we head to Shangahi, China. Specifically to the Lake Malaren Golf Club in Luodian for the BMW Masters. This will be the fourth tournament of its kind. The first tournament took place in 2011, and some random nobody called Rory McIlroy won that tournament. Then, it was called the Lake Malaren Shanghai Masters. McIlroy beat Anthony Kim in a playoff. This is a very tight course scoring wise. The last two winners have one by just 1 strike. Peter hanson won it 2 years ago – beating Rory McIlroy interestingly enough by 1 strike. Last year, Gonzalo Fernandez-Castano was the winner at -11, winning by just 1 stroke. Priced at a huge 90/1, there is some nice value on the Englishman. Foster is in hot form at the moment, with a 3rd and 4th position in his last two tournaments. You take out those last two tournaments, and you can see why Foster is ranked so low. A lot of poor finishes and cuts this year, and obviously there is a lot of better golfers in this tournament compared to the last two. Despite that, we think with his form he just might surprise us. At least – enough to bet on him each way at 90/1. Bet: Mark Foster E/W 90/1 at https://www.GTBets.com. A great price on Tommy Fleetwood at 30/1 that we need to jump on. Fleetwood is on form like no other at the moment with multiple top 5 finishes in the last couple of months. He played here last year where he disappointed – but a large part of that was a very poor round 2 where he shot a 77. Getting paid for the top 5 finishes on E/W with such a small field – we have to bet Fleetwood here. 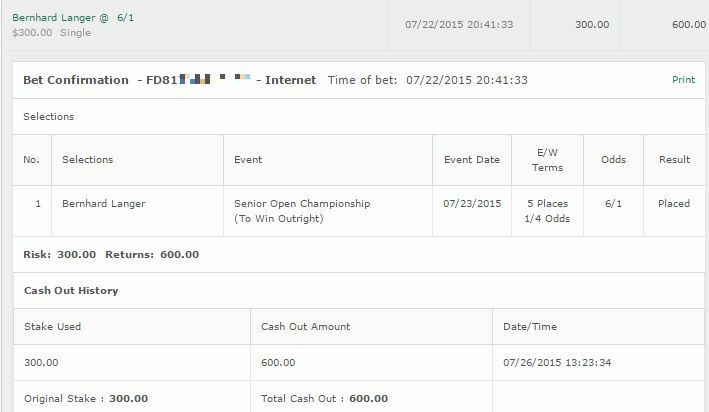 Bet: Tommy Fleetwood 30/1 E/W at Bovada for Americans. He won us money a few weeks ago, and we’re going to be backing him again at a pretty price of 20/1. This course seems ripe for Luiten – it’s all about the high GIR and that’s Luiten down to a tee. Pardon the pun. He withdrew last year – but the year before he had a solid tied for 26 finish and if not for two over par first rounds – who knows. We like Luiten as our final tip this week. Bet: Joost Luiten E/W 20/1 at https://www.GTBets.com. This one went to a sudden death playoff featuring Ross Fisher, Alexander Levy and Marcel Siem. Siem got the big upset win after a sensational tournament – although holy crap what a poor fourth round. 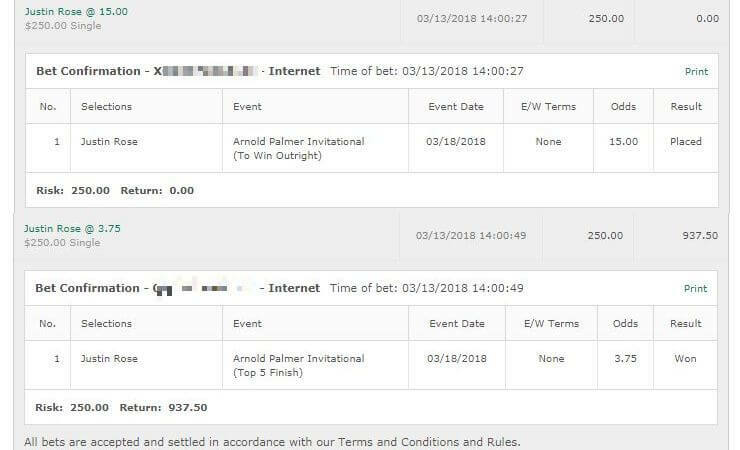 Probably the worst three bets we’ve given since running this site but that’s honestly ok – we’ve been on such a sick run we were due. Mark Foster lost his form to finish +8 with 3 75 rounds. Tommy Fleetwood – man. He shot a 71, 67 and 69 in the last rounds, but a 78 in the first round to put him at -3. If he had just had a better first round? Who knows. That’s golf – sometimes the variance is crazy but it was nice to see him pick things up when most golfers would have pretty much given up after that 78. 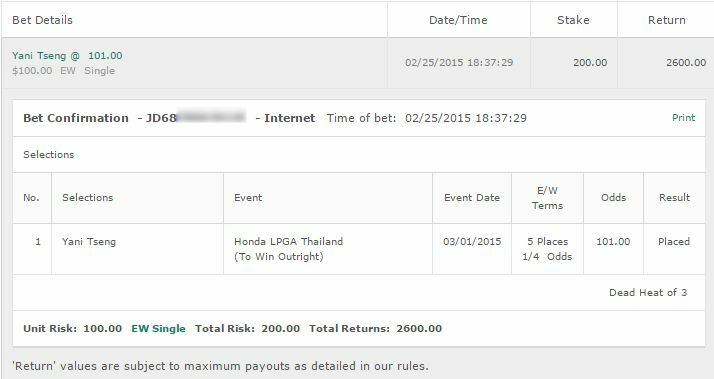 Luiten actually came close to a cash for us. He did what we hoped for with a 64 3rd round, but 72s in the 1st round and 4th round cost us. That could have been a good cash but oh well it happens.